Each leather mask can be customized to change the color, alter the appearance, or to add additional accessories such as stones or crystals. Please include a note in your order of the colors you'd like to see! If there are many colors or complicated requirements, please reach out to us and we will be happy to help. We also sell one of a kind and custom commissions as well if this mask isn't quite right for your needs. Just reach out to us directly, and we will be more than happy to help! 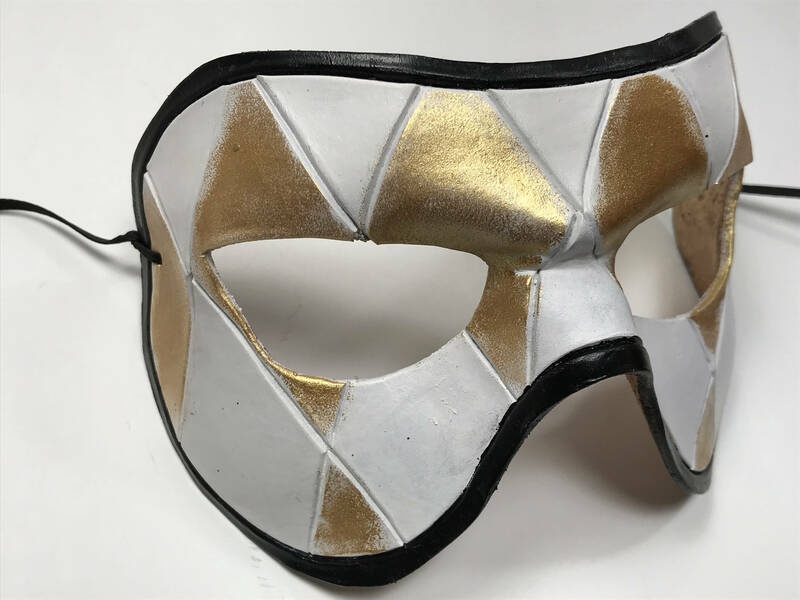 Each mask is designed for use on any occasion, and we have been proud to serve customers all over the world for holidays, festivals, events, weddings, and more. 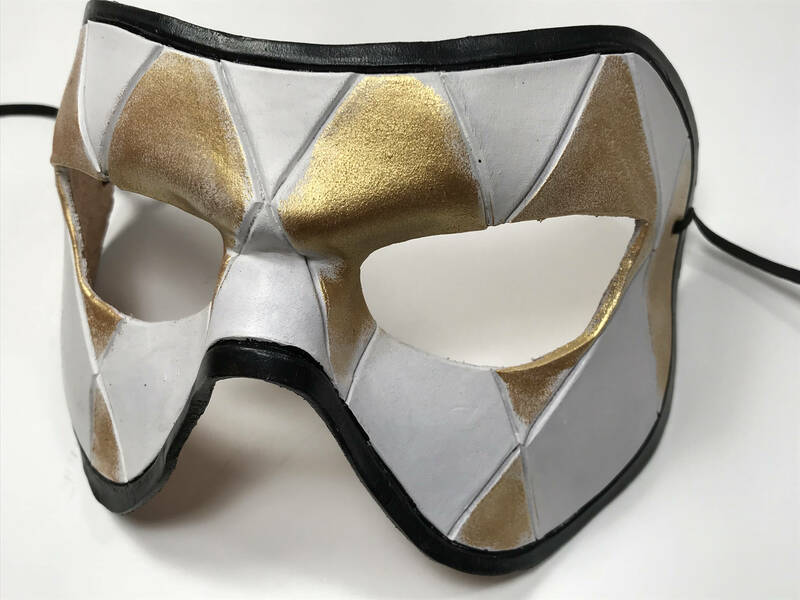 Whether you are a cosplay fan, or are looking for a mask for Halloween or any other fun event, this mask is a perfect fit. Each Rockwell Mask is inspected for quality before it goes out the door for fit, comfort and aesthetic quality. We put every ounce of love and passion into each one of our bespoke creations to ensure you are getting exactly what you are expecting. Craftsmanship is something we really value and our small team works very hard to ensure that your mask is high quality. With it's rigid structure, this mask is sure to last you many years with a little maintenance and care. Painted with an acrylic paint and clear coated for paint durability, this mask should last you for years. Our customers often hang our masks up as wall mask displays when they are no longer in active use. We have had the pleasure of having our masks featured many times on television, in theaters and circuses, stores, films, and dance troupes. Additionally, we have had the honor of working with many musicians, wedding parties, and cosplayers. All masks come with multiple options for a fastener. By default, this mask will come with leather ties to affix to the face. Optionally, you can upgrade to a leather strap with Velcro, or a leather strap with buckle (there is a small additional cost for this). This hand crafted, genuine leather mask is designed to fit on a head that is 14.5 inches or less. Wondering how to measure? Just send us a message and we will let you know if it will fit you, or if we need to create a custom larger size for you. 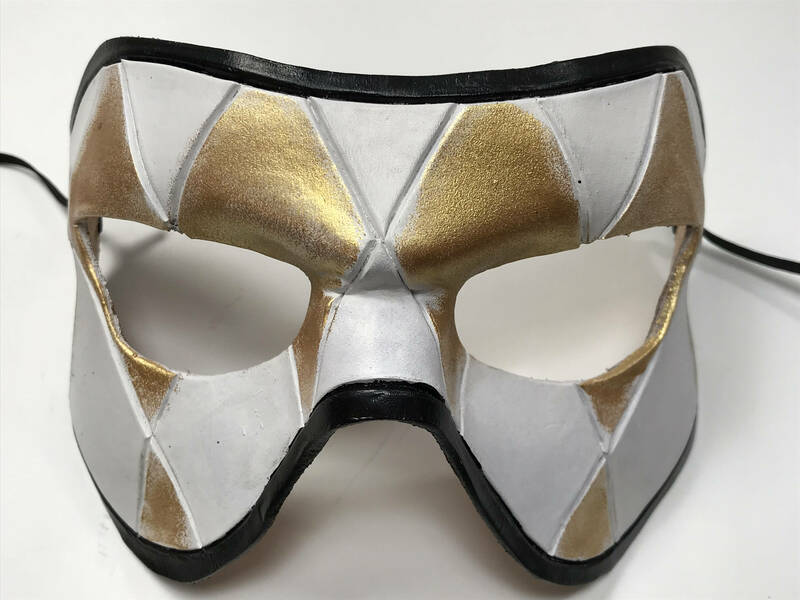 This is a made to order mask, please allow up to two weeks for crafting and shipping (though most masks are shipped in around 3-4 days from the time of purchase). We also do rush orders, please message for availability. Any other questions? Please check the FAQ section of my shop page for more information: https://www.etsy.com/shop/RockwellMasks. Still have questions? Please reach out to me directly and someone will be happy to help at support [!at] rockwellmasks.com.